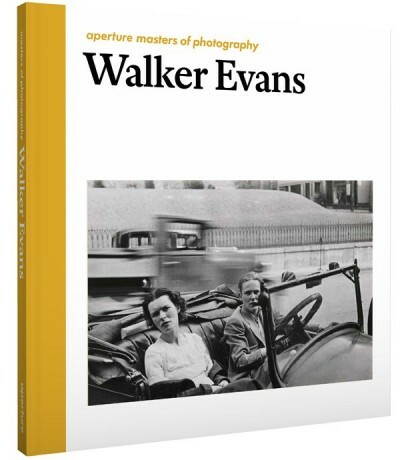 A short study of Walker Evans – photographer, editor and writer. The book has an introductory essay and forty-two images, each with an extended commentary. Driving this quiet road in Reedsville, West Virginia, it is probably the gas station that caught Evans’s eye. He pulled over, took out his 8-by-10 camera and made two photographs. The first was shot facing the building, the row of pumps flat to his picture plane. It was a typical Evans photograph: rectilinear, clear, replete with signage, with a group of young men shaded by the porch. Evans was still on assignment for the Farm Security Administration and perhaps this photo would illustrate daily working life. Let’s imagine that Evans returns to his car. Still sitting, the pump attendant calls out “Goodbye!” Evans looks up. In the bright sun his pupils are constricted. His depth of vision renders everything sharp, from the telegraph pole within touching distance to the rear of the gas station. Deep space is flattened. A photograph could capture that really well. Whatever else it does, a lens translates three dimensions into two, while black-and-white film converts color to shades of grey. Those are phenomena to explore. So Evans resets his camera. Under the black cloth, with the sun on his back, he inches around to find the perfect point of view, one that will collapse the scene into a single perplexing plane, with the sky as backdrop. The “333” in the foreground belongs with the “Motor Co. American Gas” in the background; two seconds at f45. Of course, this is still a document of what is before the camera, but the act of perception is also made emphatic. The world and the noticing of the world. It is Cubist. It is proto-Pop. It is also very photographic.